Until the middle of the 20th century the cityscape of İstanbul was dominated by wooden houses, which then vanished in a dramatic process. 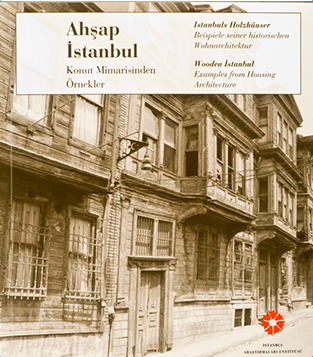 The German Archaeological Institute in İstanbul (DAI) has researched the wooden buildings of İstanbul in many investigations, reaching as far back as the 1960’s. The summary of these investigations gives an overall picture, which chronologically begins from the Amcazade Yalısı of the late 17th century to the house of the early 20th century on Büyükada. The whole variety of the old wooden houses is typologically presented, from the magnificent yalıs on the shores of the Bosphorus to the wooden houses of the petty bourgeoisie in Zeyrek. The documentation of this important city quarter covers its total area and took up its own section in this exhibition. Special attention was given to the construction techniques of the wooden houses, with the tools of craftsmanship and with a detailed construction model of the Amcazade Yalısı.